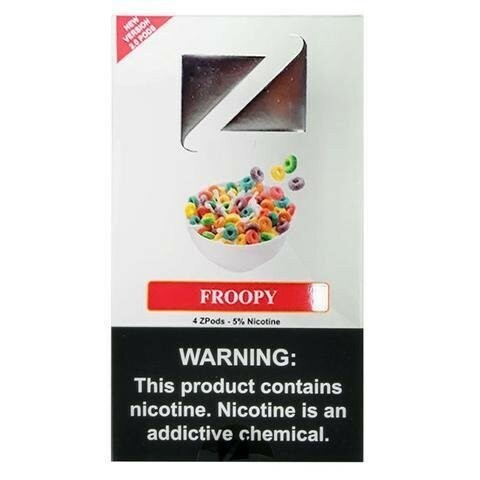 The ZIIP 2.0 Nic Salt Replacement Pods Froopy taste like a candied heaven, thanks to a flavor that features a profile similar to fruity loops cereal. What makes this product so delicious? Perhaps the fact that it is comprised predominantly of natural ingredients, which know their way around the senses like intuitives is why. Whether you wish to imitate your breakfast experience or wish to treat your palate to a dessert, these Froopy pods will assuredly leave you 100% satisfied. Each pod is optimized to fit a Juul device accordingly, containing a desire quenching 50mg of strength.